Bottom Line: Everything you want in a New England Syle IPA; juicy, tropical, and instantly appetizing. New England Style IPAs, often abbreviated to NEIPA, are juicy, hazy American Style IPAs with intensely fruity, floral, hoppy flavors. 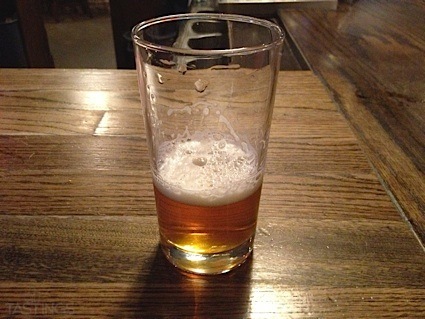 They differ from other American Style IPAs in their unfiltered haze that can be attributed to dry-hopping, the use of high-protein grains, certain yeasts, among other brew choices. NEIPAs are currently enjoying huge popularity and drinkers are buying cans of the cloudy, juicy style in droves. 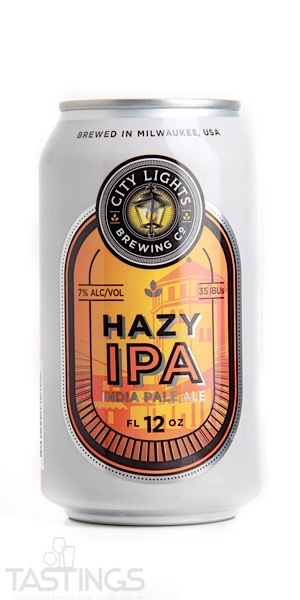 City Lights Brewing Co. Hazy IPA rating was calculated by tastings.com to be 96 points out of 100 on 3/26/2019. Please note that MSRP may have changed since the date of our review.